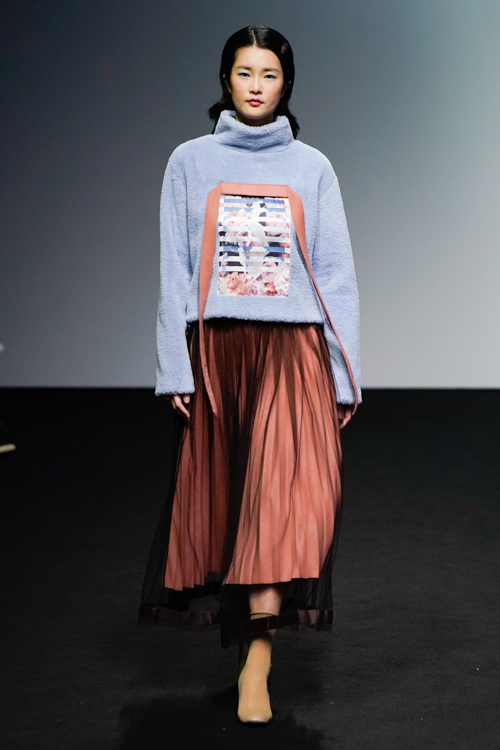 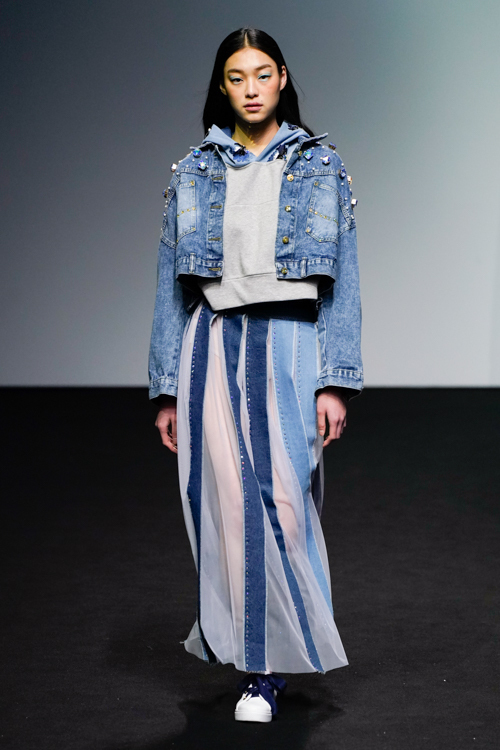 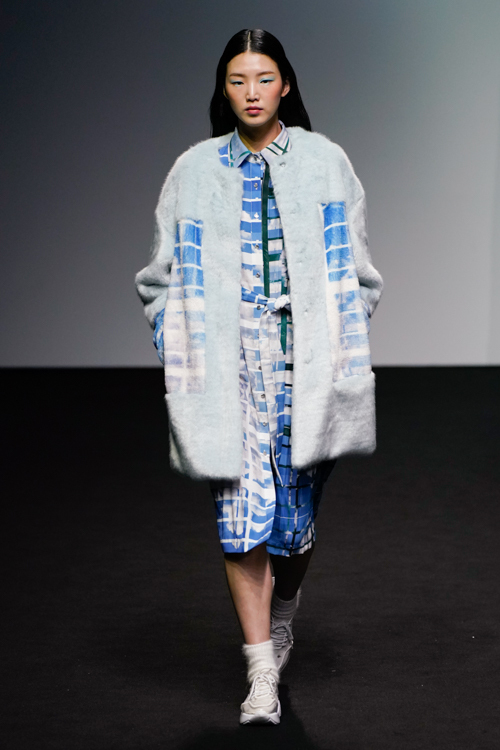 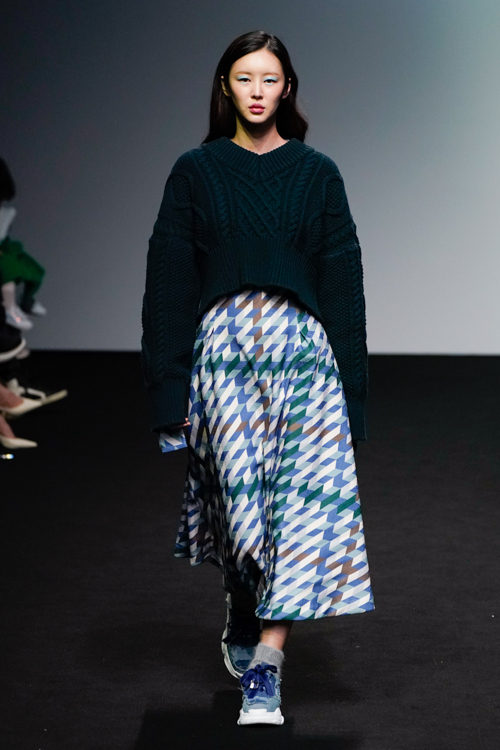 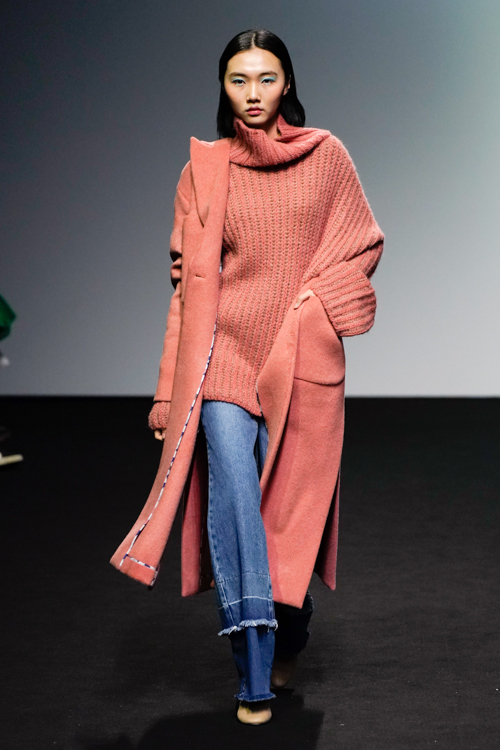 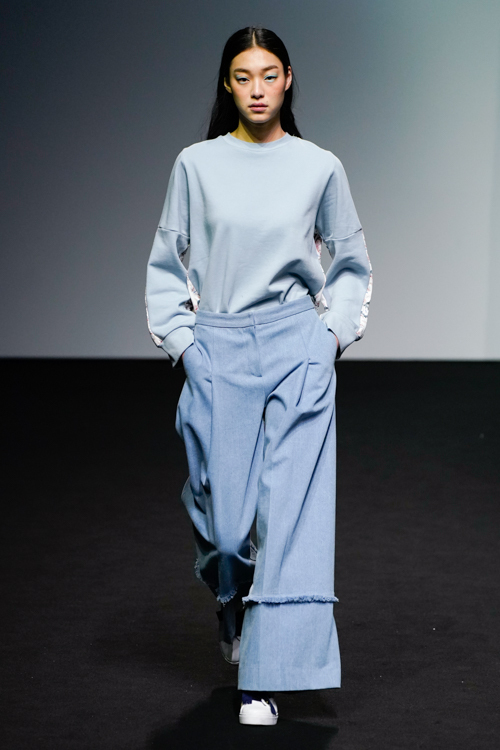 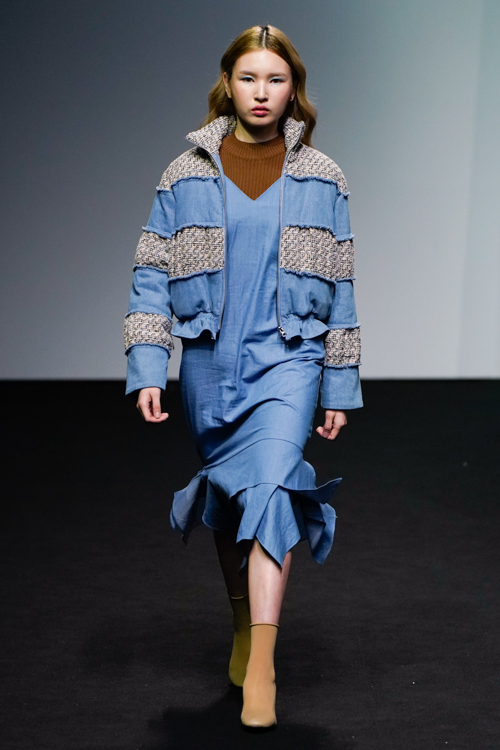 Contemporary brand Tibaeg presented their AW19 collection ‘Melting clouds’ at Seoul Fashion Week. 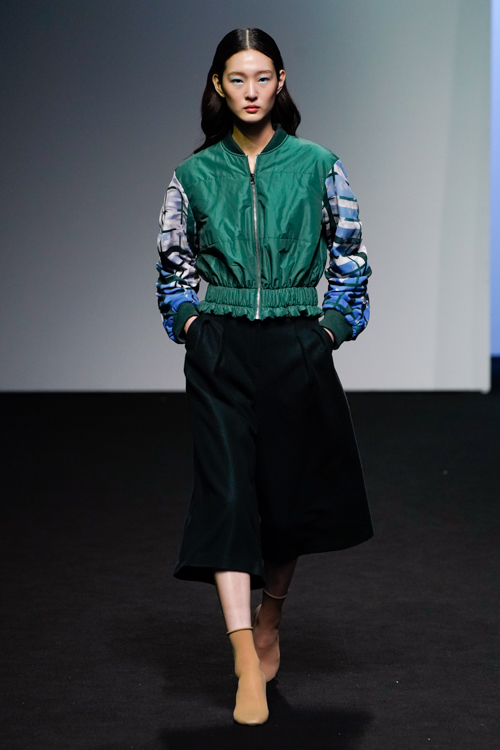 The brand was launched in Seoul, 2011 by designer Eunae Cho, who inherited her love of fashion from her mother. 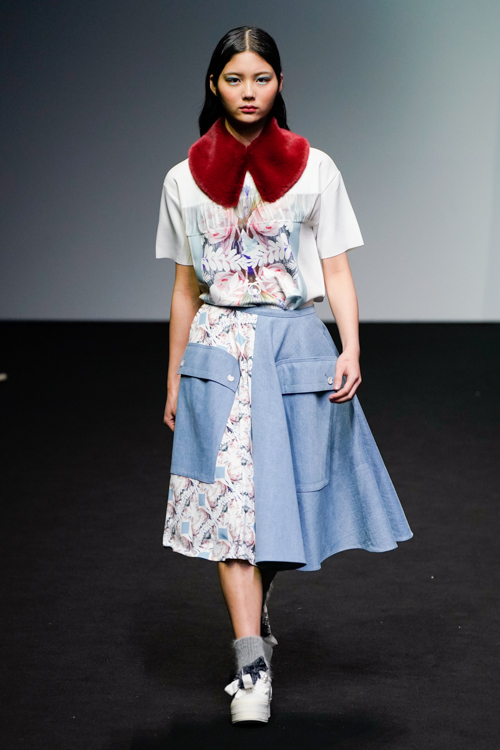 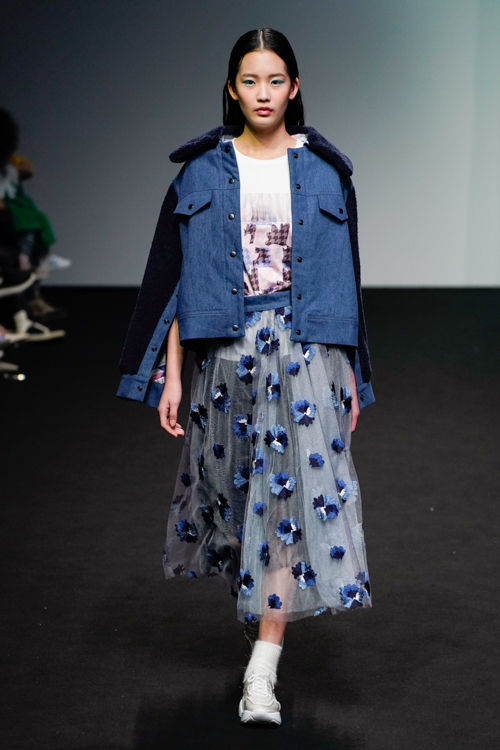 After graduating from Seoul Fashion Week’s third row of ‘Generation Next‘, the brand first showcased at Seoul Fashion Week’s main clandar for SS16, and had collaboration with Lapalette , Louis Quartorze , Christine Dattner tea, Pot de miel for kids and Disney. 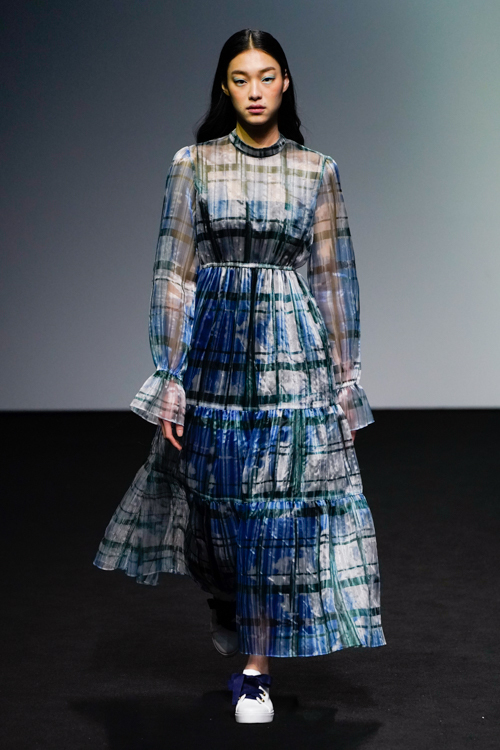 The brand explores the combination of delicate details and colours mixed with a diversity of graphic elements, expressing the most tender human emotions. 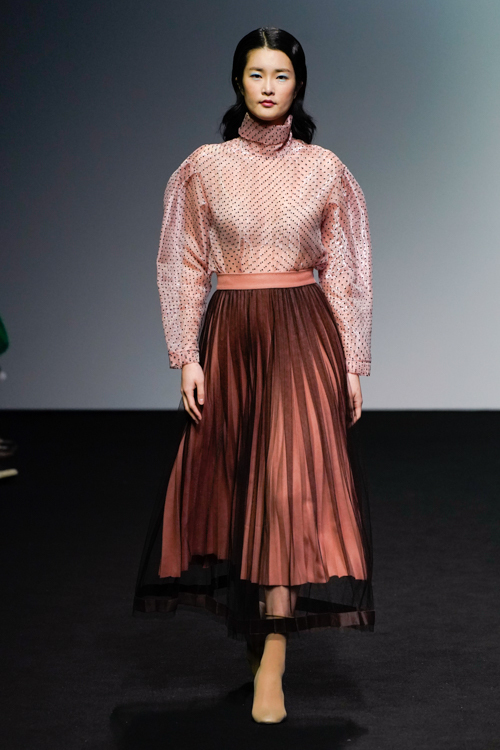 ‘We found poetry in the way a tea bag infuses its flavors and colours into the water, releasing its sweet aroma and colour’ says the designer. 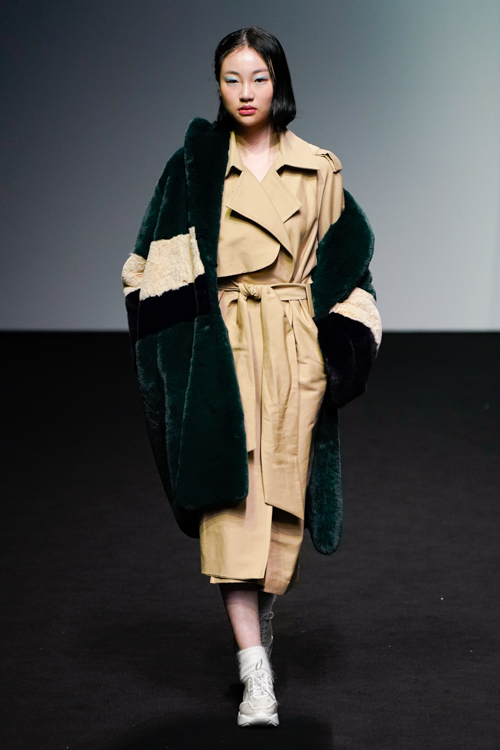 This season, the collection was created from a dreamy, fluffy, peaceful moment that brought out nostalgic memories. 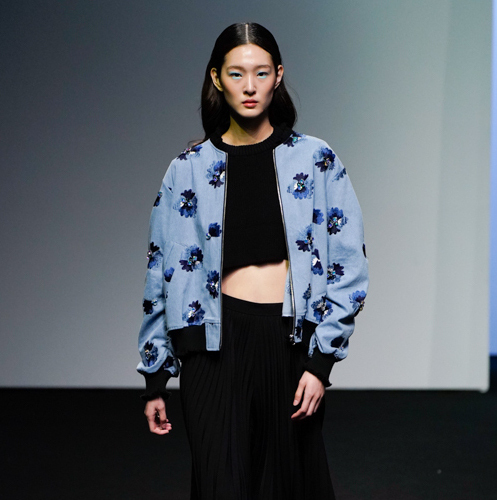 A calm and romantic scenery brings to life a vivid dream, soft but intense. 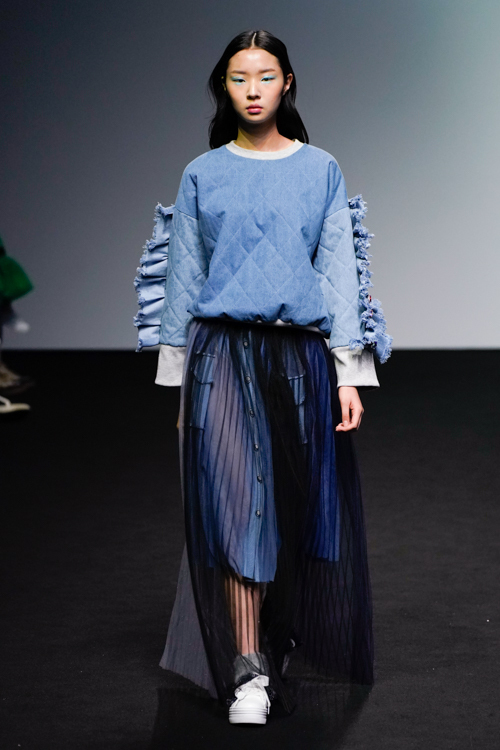 Presenting a feminine, casual look using mixed tulle and denim in colours like forest green, soft rouge pink and milky blue. 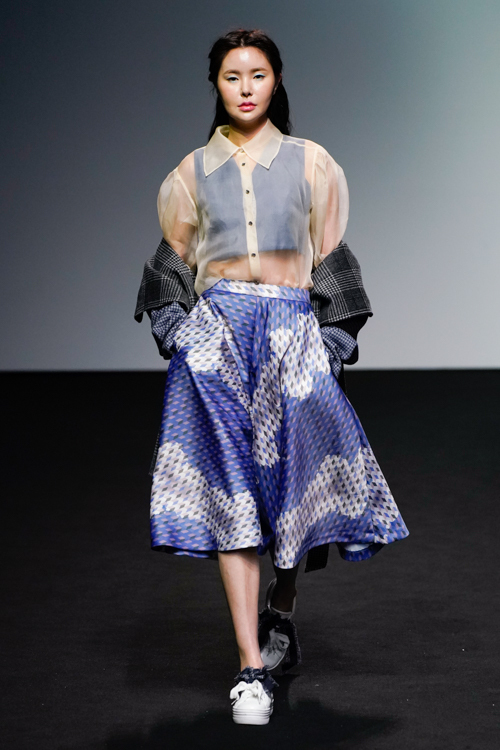 Nature graphics of fluffy clouds and mixture of geometry patterns printed on eco polyester with denim and tweed amplify the collection’s mood –a warm heart full of love.